How do I accept sole responsibility for a credit card my ex-boyfriend co-signed? How do I accept sole responsibility for a credit card that had a limit of $10,000. Slowly i paid off about $6000. I could no longer work due to health issues, the card was co signed by my ex-boyfriend 8 years ago, i am back to work and want to take responsibility for this card, take it out of his name and completely in my name, i am not making a lot but, if they could just take the interest rates etc off, now the card is $20,000. I would like to make this right. The only way to have someone's name removed from a credit card is for the credit card company to voluntarily remove the person as a responsible party. Call the issuing credit card company, or the company that currently owns the account, explain the situation, and request they remove your former boyfriend's name from the account. It is unlikely the credit card company will want to remove his name from the account. The credit card company is not going to voluntarily release someone from responsibility for a debt, as having more people responsible makes it easier for them to collect on the account in case of payments are not made. But it does not hurt to try, so I encourage you to contact your credit card company to discuss the situation. While they may not be willing to remove your former boyfriend's name from the account, they may be able to offer a hardship payment plan to improve your situation. Another solution would be to transfer the balance on the old account to a new account in your name only. This allows you to to close the old account and free your former boyfriend from liability. 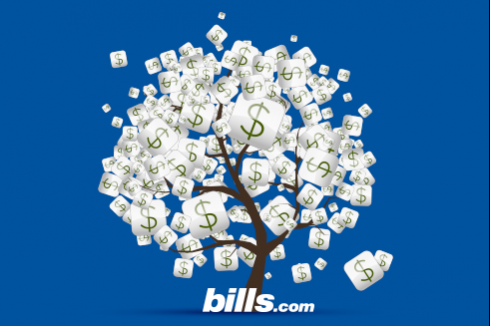 If you are interested in shopping for a new credit card, visit the Bills.com Credit Cards page. This page will allow you to specify the type of card you are looking for, and show you the best deals available. In your case, you would look for a card that allows balance transfers, preferably with a 0% introductory rate. As for reducing the interest rate and removing accrued interest, again, contact the bank to discuss the options they can offer. If you agree to start making payments again, the creditor may agree to lower the interest rate to assist you in paying off the balance. Better yet, if you can raise a lump sum of cash, the creditor may settle the account for half of the balance, or even less. Call the creditor to discuss the options it can offer. Since you mention in your question the account was opened 8 years ago, another question arises. When was the last time you made a payment on the account? If more than three or four years has passed since you last made a payment, your state's statute of limitations, or the period during which a creditor can take legal action to collect on a debt, may have passed. To read more about statutes of limitations, and to find if your debts are past your state's statute of limitations, check out the Bills.com statute of limitations for each state page. If your state's statute of limitations has passed, you may decide not to repay the balance after all. The account should fall off both your and your former boyfriend's credit reports 7 years after the last payment was made, so it may be better to wait it out if many years have passes since you last made a payment. Debt settlement look right to you? Contact one of Bills.com’s pre-screened debt providers for a free debt relief quote. I hope the information here will help you Find. Learn. Save. It is not uncommon for financing companies to leave the lesser credit worthy candidate off when reporting to the credit bureaus. At this point, it will be very difficult to retro active the credit you earned for payments made between 2001-2006. Your best bet would be to petition each individual credit bureau (Experian, Equifax, Transunion). Moving forward, every time you initiate credit based purchases, you should check to verify the accuracy by checking your credit. As a good general rule of thumb, one should check their credit biannually just to verify accuracy and monitor credit fraud. Hello, in year 2000 I purchased a car that my father co-signed for. Upon my payoff of the car in 2006, I noticed that none of the payments from the last 6 years were on my credit report for any of the three bureaus. However it is on my dad's credit. A car sales friend of mine said I could have the equity transferred to my name and my credit. Is this possible? If so how? (He didn't know how) If not, how can I get the representation of all those years of early and on time payments (which would've done wonders for my credit) to show up? Please help.